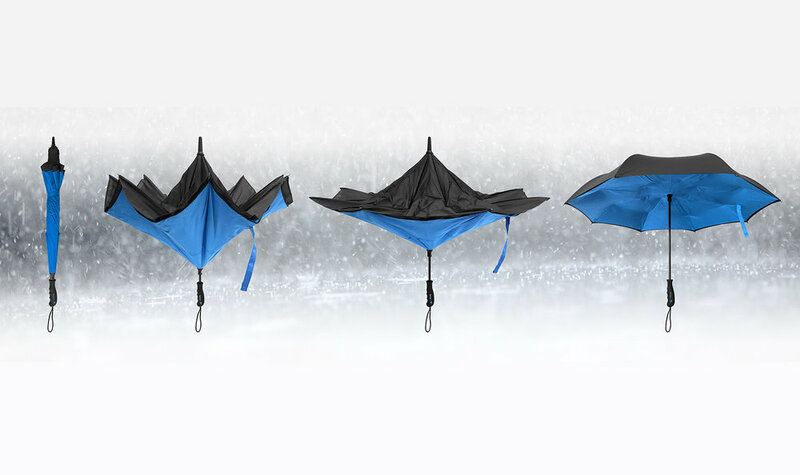 QUALITY: Better Brella's double canopy / layer construction allows it to withstand wind speeds in excess of 50 miles / hour, or otherwise strong-enough gusts that will cause your standard umbrellas to collapse on by itself. 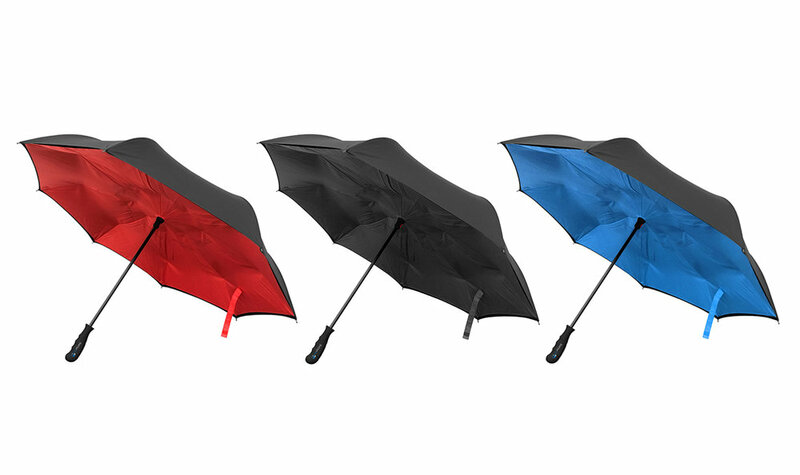 High-quality locking mechanism snaps our umbrella into place, allowing it to keep its spread, and will not force-close by itself randomly. 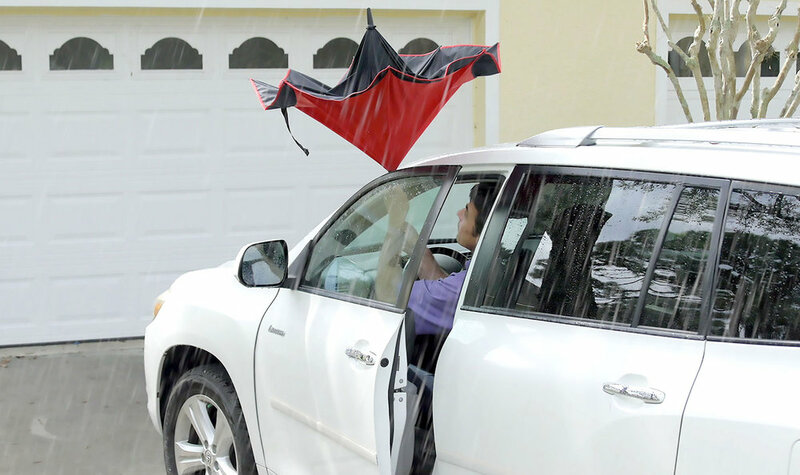 SIZE: 32" length from tip to handle; 41.5' extra-wide canopy spread.